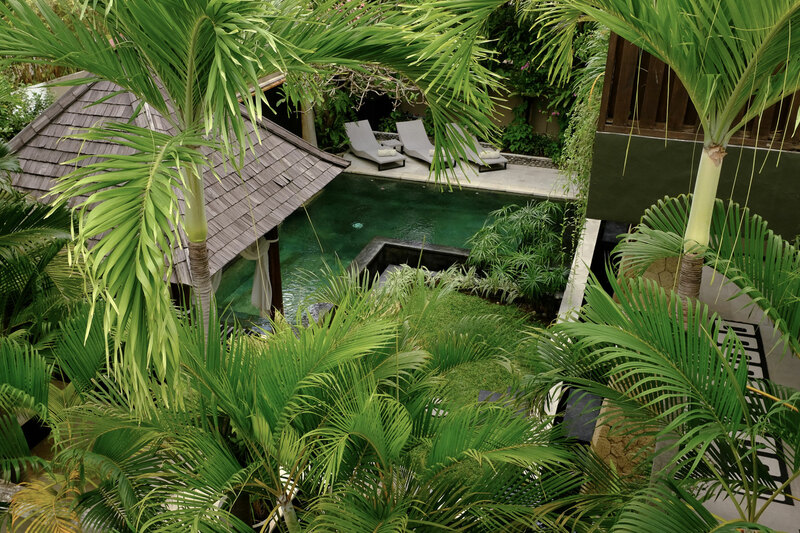 Secluded in a lush tropical garden, our 2 bedroom villa Seminyak offers an exceptional holiday experience. The beautiful natural location is complemented by the sound of the ocean, the cool sea breeze, the reflection off the pond, the private swimming pool and the exceptional service which will entice you back again and again. 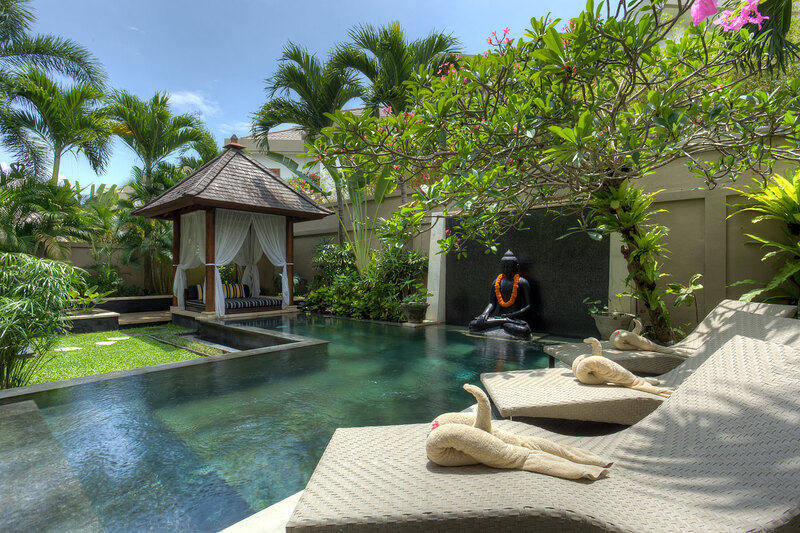 With a superb beach-side location and only 20km from Bali’s International airport, you will arrive on the relaxing coastline of the fashionable Seminyak district. 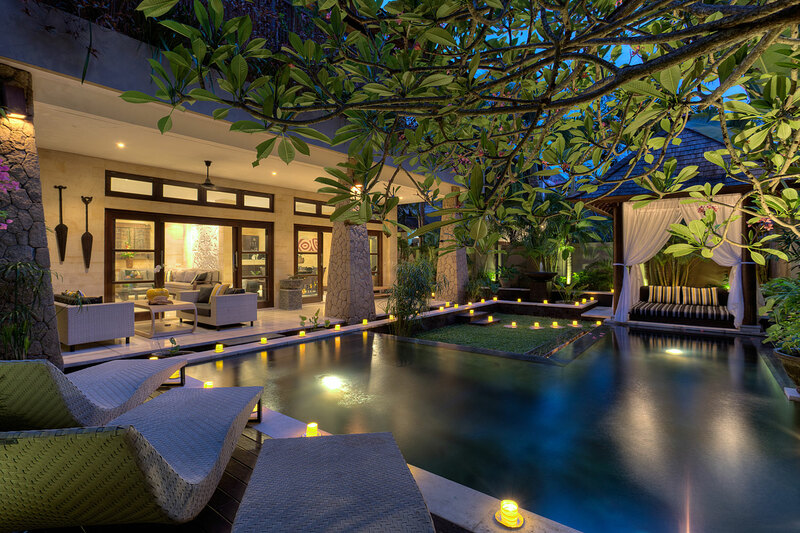 Here you will discover Amanputri, a 2 bedroom villa Seminyak privately owned & managed by an Australian family. 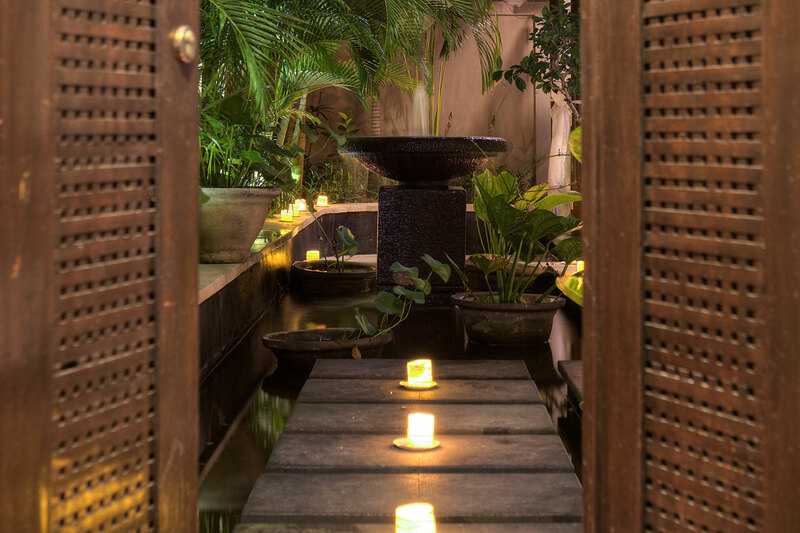 A free standing residence, our 2 bedroom villa Seminyak is one of the closest private villas to the beach, with only footsteps along a small pathway that will lead you directly onto the warm sand of Seminyak beach. Then, a short stroll along the water’s edge will take you past the prestigious Oberoi Hotel and onto the famous Ku-De-Ta restaurant in 8 minutes, making this location one of the most desirable in Bali.